STEM – science, technology, engineering, and math – education is critical not only to securing America’s position as a global leader, but also for ensuring that American consumers, including working-class families and small businesses, have access to affordable, reliable energy. This vital need is highlighted at CEA’s annual Energy Day festival in Houston on Saturday, October 21, 2017, and will be showcased at CEA’s inaugural Colorado Energy Day event in Denver on Saturday, September 23, 2017. The United States has plentiful natural resources, monetary wealth, and the best university system in the world. Yet, there are serious shortcomings in the basic science and technology literacy of the average American citizen. Standardized testing results show that U.S. students’ scores in math and science are just average. When it comes to math in particular, the U.S. is slightly below average, ranking behind Latvia, Portugal, Italy, Russia and Slovakia.1Pew Research Center, “U.S. 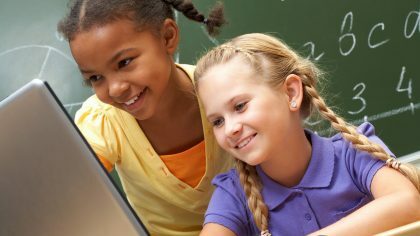 students improving – slowly – in math and science, but still lagging internationally,” February 2, 2015, http://www.pewresearch.org/fact-tank/2015/02/02/u-s-students-improving-slowly-in-math-and-science-but-still-lagging-internationally/. The consequences of these shortcomings are serious. STEM skills are necessary for today’s energy workforce, which produces and delivers the electricity and transportation fuel that powers the United States. However, the U.S. is not currently able to provide an adequate number of skilled workers and professionals to maintain the energy workforce needed for our nation. Companies that are in the business of producing energy and supplying it to consumers, including oil and gas producers, electricity producers, and utilities, are struggling to find a sufficient number of trained workers with the requisite technical expertise, especially for positions such as engineers, geologists, and other technicians. STEM education is also essential for both the formulation and the implementation of a balanced energy policy for America. To formulate sound policy, lawmakers and voters alike should be educated enough to understand the strengths and weaknesses of various energy sources. Evidence suggests that many voters do not understand the basics of how electricity is generated or delivered to their homes, the difference between fuels for electricity generation and transportation fuels, or the need for dependable baseload power sources. Improving achievement in STEM education will go a long way toward ensuring that America can compete globally, create jobs for American families and businesses, and maintain access to affordable, reliable energy. High-quality STEM education represents an opportunity that students, workers, educators, and businesses must seize to maintain and enhance our longterm energy security. Download the CEA one-pager on STEM Education. 1. ↑ Pew Research Center, “U.S. 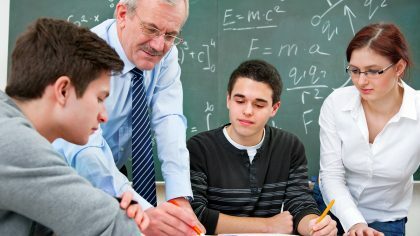 students improving – slowly – in math and science, but still lagging internationally,” February 2, 2015, http://www.pewresearch.org/fact-tank/2015/02/02/u-s-students-improving-slowly-in-math-and-science-but-still-lagging-internationally/.